If there’s one thing in this world that I love almost as much as a truly delicious read, it’s a truly delicious dessert. I love to bake them, I love to smell them, and I love to eat them in a way that lets me find frosting in the crevices of my fingernails for hours. 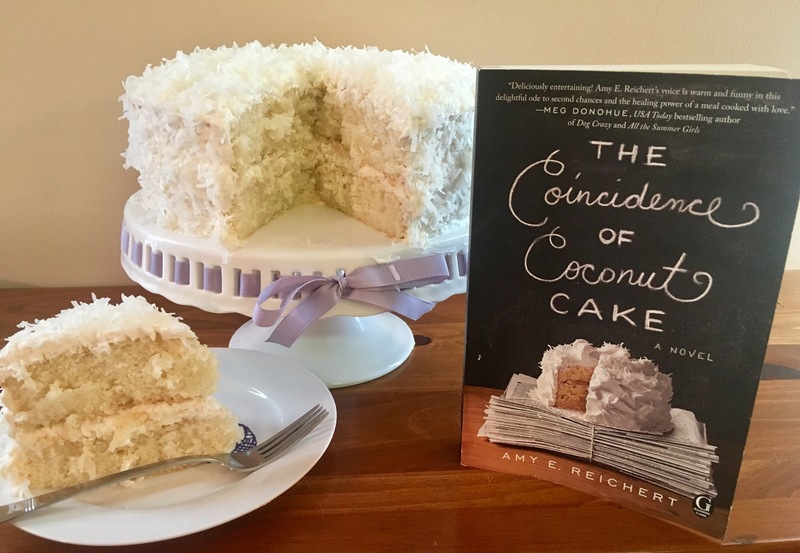 Amy E. Reichert’s The Coincidence of Coconut Cake has been at the top of my to-be-read list for a while now—partly because I’ve heard such wonderful things about it, partly because it has the word “cake” in the title. When the time came to serve it up as my next read, I devoured it like I would any decadent confection, and when I was done, I found myself desperately searching for seconds. The Coincidence of Coconut Cake is the story of Lou and Al, a chef and a food critic, who meet-cute (super cute) on the worst day of Lou’s career. For Lou, owning a restaurant in her native Milwaukee is a dream come true. Her beloved Luella’s may be struggling to get off the ground, but the food is great, she works alongside her best friends, and her loyal customers turn to her night after night for a perfect meal. Her life seems to be in a good place—until she drops by to surprise her fiance on his birthday with her trademark coconut cake and finds him in his skivvies with an intern. Thrown off of her game, her night at the restaurant turns into a mess of ruined food and poor service, definitely not the time for food critic Al to pay a visit. Writing under a pseudonym, Al dishes out a scathing review, not knowing that the owner is the delightful girl with the coconut cake he met earlier. With their true identities remaining a mystery, the two strike up a friendship as Lou introduces British transplant Al to the joys of Milwaukee. When their friendship turns to something more, it seems only a matter of time before the truth comes tumbling out, potentially sinking everything like the middle of an underdone cake. Picture the most delightful rom-com you’ve ever seen, told through food-filled pages that will make your mouth water, and you’ve got The Coincidence of Coconut Cake. The characters are even more delicious than a good glob of buttercream, with Lou and Al taking center stage as the Meg Ryan and Tom Hanks of yesteryear. The supporting cast, from Lou’s friends at the restaurant to Al’s disheveled, fashion-reporting friend, John, are just as unforgettable. Perhaps the starring role goes to Milwaukee itself, as this novel is just as much a love letter to squeaking cheese curds, Brewers games, bratwurst and polka as it is a love story between Al and Lou. I laughed, I cried, and with every food-related description, my stomach cried out for more. Thank goodness there was a recipe for coconut cake included, because within 24 hours of inhaling this tasty book, I channeled my inner Lou, threw on my apron, and whipped one up. And yes, friends. The cake was just as delicious as the book itself. I’m already receiving requests to make it again—from friends and family, and from my own tummy. This is the first book I’ve read by Amy E. Reichert, but you can bet your cupcakes that I’ll be gobbling up her other two, stat. 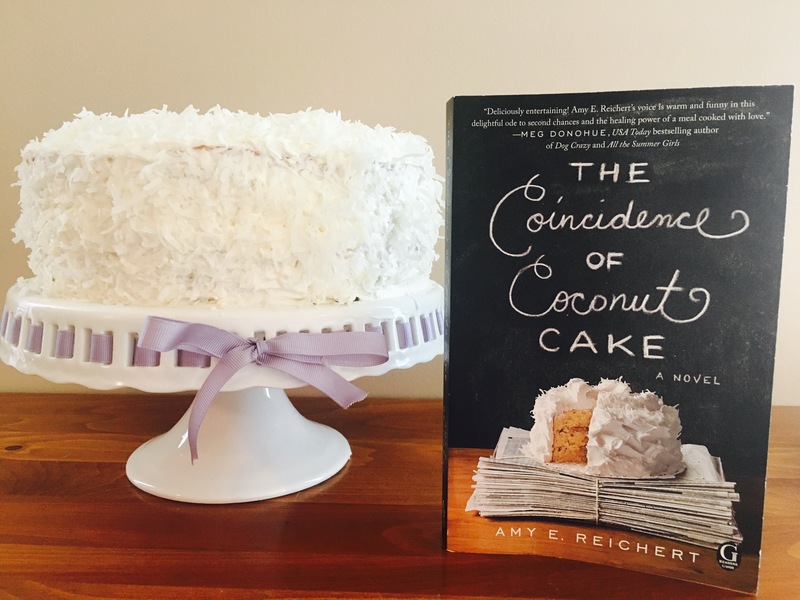 If you love romantic comedies, if you love charming characters, if you love cake, you must read The Coincidence of Coconut Cake. I only offer two pieces of advice: don’t read it on an empty stomach, and make sure you have your oven mitts ready. For more on Amy E. Reichert, visit amyereichert.com and connect with her on Facebook, Twitter, and Instagram! Amy is also a member of the Tall Poppy Writers, the group of fabulous female authors I mentioned on last week’s blog. Be sure to check out the Tall Poppies and their wonderful Facebook group, Bloom! It’s the perfect place for ladies who love to read and write to connect and chat about all things bookish.